Two and a half years back, Jonathan @ JKB set out in his bicycle from his home in London to meet his mom in Denmark. 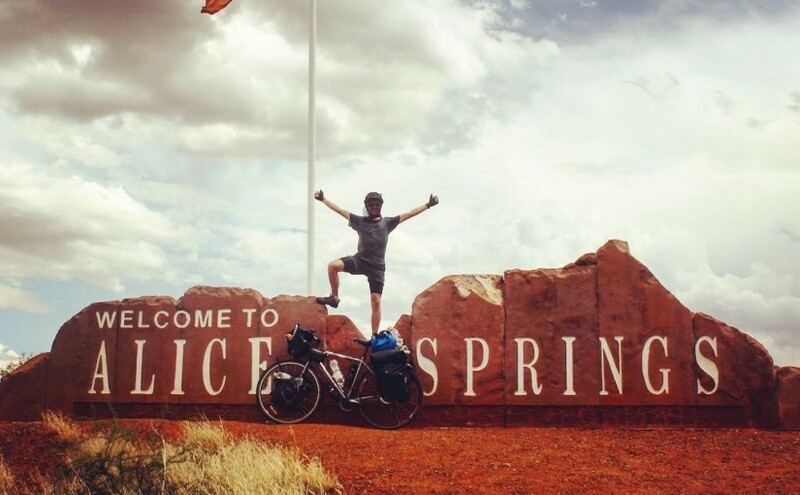 He has since cycled across 4 continents and ___ countries on his bicycle. Before the journey,he had never cycled more than 10 Km at a time. He truly set off with no experience or even a plan and has literally come miles together. He travelled across Europe, Asia, Australia and New Zealand and is currently pushing his pedals somewhere in USA. I had been closely following his FB page and blog for a while. JKB’s blog has a wealth of information for any novice biker aspiring to prepare for a long distance cycling trip. It immensely helped me in planning my recent 405 Km bicycle trip where inspired by JKB, Hari (my husband) and I biked and camped on our way. JKB’s humble beginning and story gave me a lot of confidence that anyone can do this. But how? I had a million silly and not so silly questions and he generously responded to all of them.